No one knows Knoxville better than veteran outdoor-adventure author Johnny Molloy. Each hike text displays one- to five-star rankings in five categories: Scenery, Difficulty, Trail Condition, Solitude, and Appropriateness for Children. 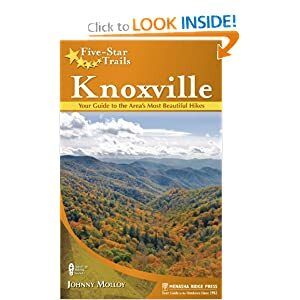 Each entry includes directions to the trailhead, at-a-glance info, a user-friendly map, GPS coordinates, an elevation profile, and a brief overview.